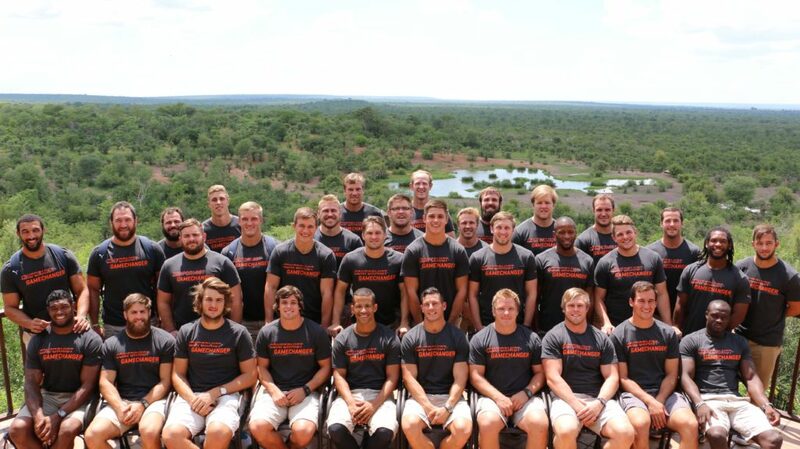 SOUTH African Super Rugby side the Toyota Free State Cheetahs recently came to Zimbabwe and they conquered – winning their pre-season clash in Harare against the Vodacom Bulls, before visiting the country’s top tourist attraction, Victoria Falls. The 45-strong squad, who stayed with us at Victoria Falls Safari Lodge this week, were blown away by the beauty of Victoria Falls, which many had never seen before, with team captain Francois Venter saying, it was well beyond his expectations. The Cheetahs’ visit to one of the Seven Wonders of the World included a sunset cruise on the Zambezi River, a tour of Victoria Falls, dinner at our famous restaurant, The Boma – Dinner & Drum Show as well as a coaching clinic at Victoria Falls Primary School. “Sport plays a big role in a child’s life ….giving something back is a big thing for us – we want to reach out to the community and make a difference where we can, and not just in the Free State, where we are from,” Venter said.